As kids we all love playing games, and then when we grow up, we stop playing about, move on to more serious matters, and get jobs. But what happens when kids don't grow up? What kind of job does one get? Take Lesley Singleton, for example. Lesley says 'I love toys and games quite possibly more than my own kids love toys and games.' For Lesley the answer was obvious. If there is not a job out there for you, create one. And that's exactly what he did. Playtime PR, a company that specialises in toys, games, leisure, play, family, and childhood brands. As well representing well known brands, Lesley also helps new toymakers launch new products through promotional exposure. In March 2014, Lesley, along with the professor of Toyology (the study of toys through blogging), Peter Jenkinson, founded the Board Game Club as a way to expose new products to the public. Described as a 'speakeasy-esque grown-up games-night for London's in-the-know crowd', which includes 'creatives, journalists, board game fans, and all-round interesting types.' Given the club's clear exclusivity, things are very hush-hush, so be sure to keep this under your belt. The first Board Game club was held at Brewdog in Shoreditch, before moving to Clapham's Jam Tree in July. The event was a big success, introducing people to a lot of new games such as Linkee and Accentuate. 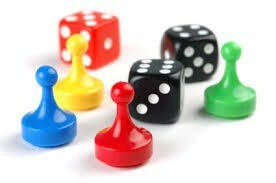 The next Board Game Club will be held on the 18th September. As a result from previous feedback, for their fourth event, Lesley and Peter will be 'refreshing the games menu yet again with a fusion of the retro, the new, the childish and the controversial'. The club is free to join, and what's more the Jam Tree are giving a 50% discount off your food bill. 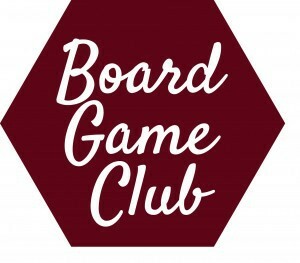 If you want to know more about the Board Game Club and be kept up to date with all the latest events, you can sign up to their newsletter.